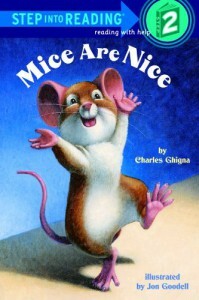 Mice are Nice by Charles Ghigna is a great book to use in a kindergarten to first grade classroom. The setting of the story takes place in a pet store, and the author is telling the reader the best pet to choose is a mouse. Ghigna names the pets in the pet store, and tells the reader, why this would not be a good pet to bring home, besides the mice. He comes up with all these reasons why mice are the best, and the other animals should not be a choice to the buyer. At the end, Ghigna makes it clear that mice are the only pet a person will ever need. 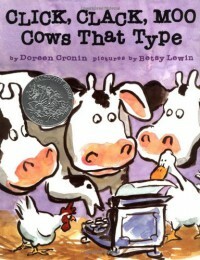 This will help students because of the rhyming text and knowing what animals can do. 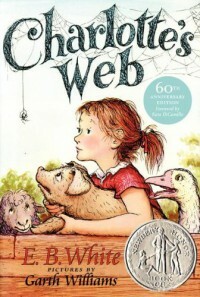 Charlotte's Web by E.B. White, is a story about a pig named Wilbur who was born a runt. Fern's father, who is a farmer, wanted to kill him because he is a helpless pig. Before killing Wilbur, Fern runs to her father, begging him not to kill the runt. Her father decides to let Fern keep Wilbur as a pet. Later on, Wilbur meets many friends on the farm, but once Wilbur turned five weeks old, she has no choice but to sell him to another farm. Fern sells Wilbur to the Zuckerman's. who plan on killing Wilbur for their Christmas feast. While this is going on, one of the farm animals named Charlotte-who is a spider- plans to save his life. To save Wilbur's life, she writes words in her web that express who Wilbur is. I would read this book to fourth graders or fifth graders. This book will help with building character education and also to help build self-esteem. 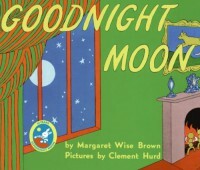 Goodnight Moon by Margaret Wise Brown, is a great children's book. A little bunny is about to be tucked into bed, and so, the little bunny says goodnight to every object inside his room. This classic children's book is great for introducing poetry, and would be such a perfect book to end the day with. I would read this book to kindergarten. Don't Let the Pigeon Drive the Bus! by Mo Willems is a funny, creative, easy read, children's book. When a bus driver takes a break, a pigeon wants to volunteer to drive the bus. 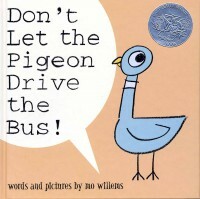 Throughout this book, he begs his way to drive the bus, and children love this, because they can answer back and decide the pigeons fate. This helps children notice when to say no. I would teach this lesson on bus drill day and I would read this to kindergarten. Pancakes, Pancakes! by Eric Carle is a great children's book for elementary students. The main character, Jack, is gathering baking materials for his mother to bake a big pancake. 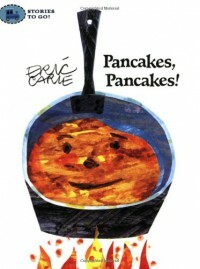 Throughout this book, this can help children understand the sequence of events and can teach them what ingredients they need to make pancakes. I would teach this book to kindergarten through first grade. I would incorporate this lesson into the health standard, and English language arts standard too. 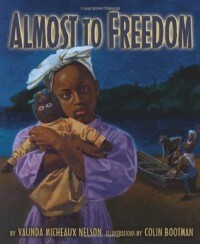 Almost to Freedom by Vaunda Nelson is an amazing, inspirational fictional book told through a rag doll's perspective. The rag doll's name is Sally and she is telling the story of a young girl and her family as they escape from slavery and start a new journey called the Underground Railroad, which to them, is a way to freedom. The young girl who owns Sally builds a friendship with her and takes her every where she goes, until one night in a safe house, Sally accidently gets left behind. Throughout this story, the reader sees how powerful freedom is. Even though this is a fictional book, it does have some truth behind the words. I would read this to second grade through fourth grade. I would read this book during Black History Month so my students will understand the meaning behind this special holiday. 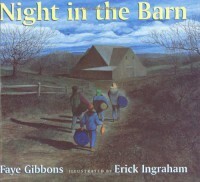 Night in the Barn by Faye Gibbons is a mystery book for children who just need a break from school. Throughout this book, it tells about these children wanting to spend the night in a barn together, so they can "face their fears". Throughout this book, they think they see all these shadows of scary things, and even thought they heard someone with them. At the end of the book, the noise they heard was not someone, but instead, it was something. It turned out to be one of the children's dog. I love this book, because it gets children involved and makes them use their cognitive knowledge and always keep their minds wondering about what is going to happen next. I would read this book to kindergarten through the second grade. 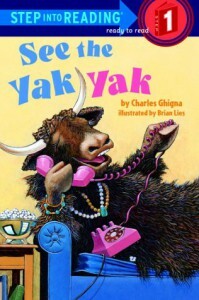 See the Yak Yak is a great book for children who are learning about homonyms. This book is a great hook for a lesson before learning about homonyms. The illustrations help beginning readers decode simple text and help children notice the rhymes throughout the book. Towards the end of the book, the goal is for the students to learn that words that sound alike, can have different meanings. I would read this in a first grade classroom. 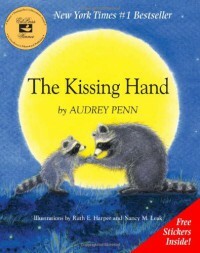 The Kissing Hand is an amazing story for children. 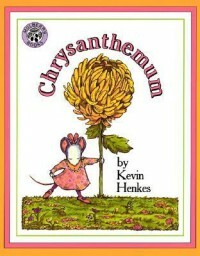 The setting of this story takes place in a forest and Chester Raccoon, who is the main character, does not want to go to school. Mrs. Raccoon shared a family secret called the "kissing hand" to give Chester the reassurance of her love for him and to take the fear away from him when it comes to school. This is a great book to read to kindergarten through second grade. This would be good to read on the first day of school, especially in kindergarten when they are leaving their parents. 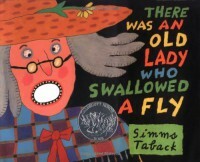 This is a story and a song about the old lady who swallowed a fly, a spider, a bird, and even more. This is just a funny, creative, story to grab students attention and this book can also help with students memorization and sequencing. I would read this in kindergarten through first grade. 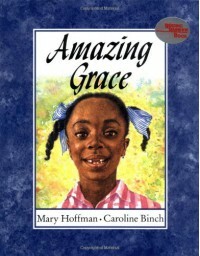 Amazing Grace by Mary Hoffman, is a great children's book that is empowering towards readers. Grace, who is the main character, loves stories, whether they are from books, movies, or oral telling's. When she gets the opportunity to play a part in Peter Pan, she knows exactly who she wants to be. Her other classmates tell her, she can't be Peter Pan because she is a girl. Grace's nana reminds her that she can do anything she sets her mind too. 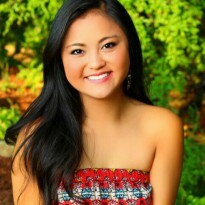 Towards the end of the book, Grace gains her confidence back and she is determined to get the role of her dreams. 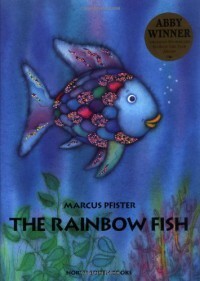 I would read this book in kindergarten through second grade. This is a very inspiring book and pictures themselves add an emotional power and personal passion towards the story. Click Clack Moo: Cows That Type is a very funny and creative children's book. At the beginning of the book, the cows find a type writer and type to Farmer Brown how they want an electrical blanket because they are cold. At first, Farmer Brown denied the cows request. The cows went on strike and would not provide milk for Farmer Brown. Later on in the story, the chickens decided they wanted electrical blankets too. They went on strike and would not give Farmer Brown any eggs. At the end, Farmer Brown gave in, and gave his farm animals what they wanted. I would read this book in kindergarten and first grade. I love how this book is very creative and allows the animals to talk. This would be a great idea to read to children when talking about creative writing. Duck! Rabbit! 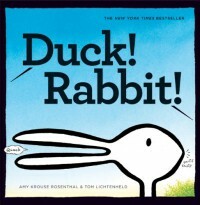 by Amy Krouse Rosenthal and Tom Lichtenheld is a great children's book, filled with optical illusions. The reader has to decide if the drawing in the book is a duck or a rabbit. This is a lesson for children who do not know when to " let go" of an argument and this book will allow them to use their cognitive knowledge to determine how they see things. I would read this book to kindergarten through second grade to test their perspectives and this will allow students to have a great open discussion as a class. The Very Hungry Caterpillar by Eric Carle is a classic children's picture book. This book helps children understand the life cycle of a caterpillar. I love the illustrations in the entire book, and this helps children really see the caterpillar changing over time. This book, also helps with counting. I would use this book in preK to kindergarten. When reading this, I can incorporate many academic objectives in this one book. (math and science).